Built-in automatic bypass. Water flow maintained to your home during regeneration. The system control automatically calculates how much conditioned water is used day after day. It remembers any change and only regenerates when necessary. This saves up to 50% on salt and conserves water. Brine Tank Refills with conditioned water only. Conditioned water circulates through the refill flow control. The valve can be programmed to pre-fill or post-fill the brine tank for optimum performance. Reserve calculating for optimum efficiency. Noryl® valve construction. Durable and non-corrosive, glass-filled plastic valve. All components meet or exceed FDA, UL and NSF compliance. Two hour battery backup. Maintains memory for up to 2 hours of power interruptions. Light commercial applications. 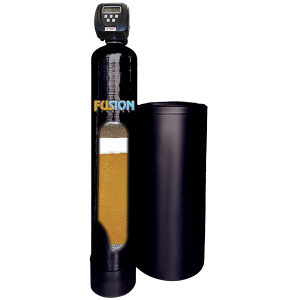 Can backwash tanks up to 21 in. 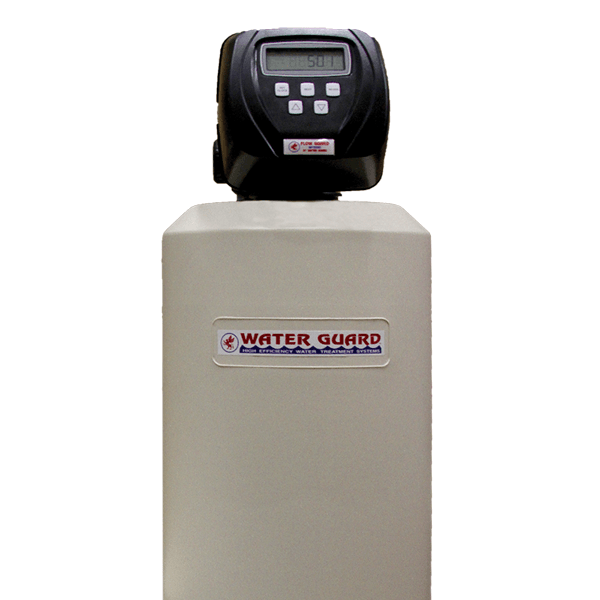 The Flow Guard fully automated water conditioning systems are engineered for years of trouble-free operation. The electronic control technology uses high efficiency calculation that determines your family’s daily conditioned water usage. ‡ To achieve flow rates greater than 27 gpm a 1.25″ valve or greater is required.